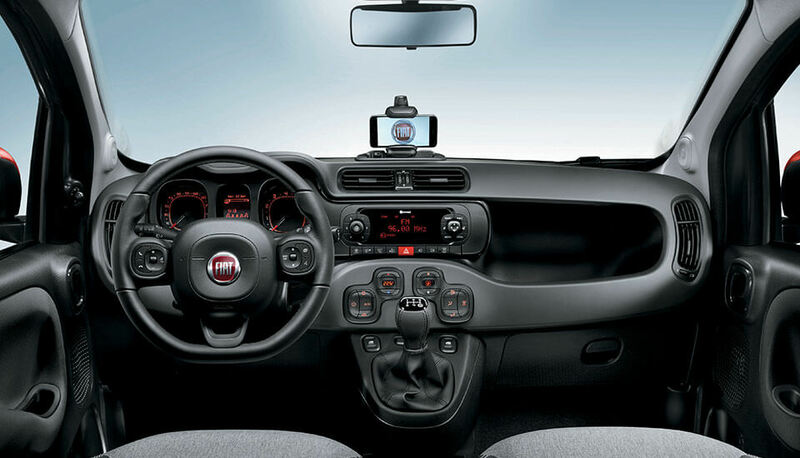 The new Panda is here and it emulate’s the functional, carefree approach of the original 1980 Panda – a car that had flat glass, hammock-style seating and an open-plan dashboard. Compact, versatile and faithful to its own spirit. 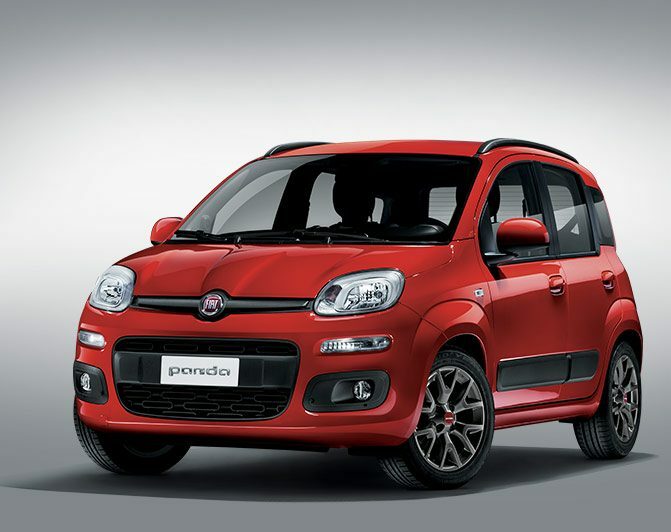 The Panda is available with a wide palette of exterior colours so you can chose the one that best represents you. A trip to the shops, a day in the country or a weekend away: with the Panda's space and versatility you really can do it all. Fold down all or a part (available as an option) of the back seat to extend the loading length. 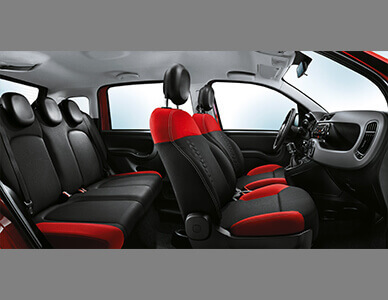 Plus the front passenger seat can also be folded down to create a table or a comfortable chaise longue. It’s all up to you. 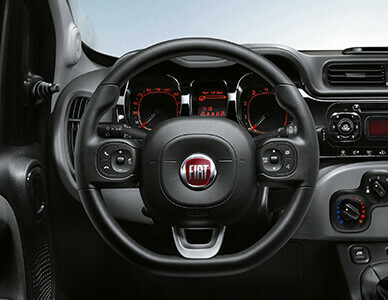 The new interior design is enhanced by the new steering-wheel with integrated controls and leather wrap (standard from Lounge). Ever heard of a ‘squircle’? It’s a square with rounded edges and is the inspiration for Panda’s design. The squircle contours don’t just look good, they also improve its aerodynamic efficiency. As playful and versatile as the Panda is, it encapsulates the full substance of a city car, from its exterior design to its interior controls. 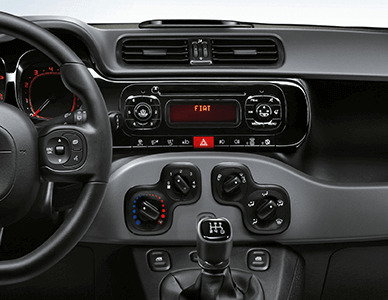 The 14 storage compartments include a convenient storage pocket in the dashboard, a coin and pencil holder and a tissue holder, so that there's a place for everything in your Panda. 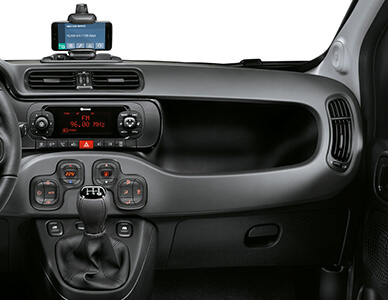 Have more fun: the upgraded Panda features the innovative Uconnect radio, which includes Bluetooth, audio streaming, voice recognition system, MP3 player USB and AUX-in ports. This way, you'll be able to listen to your favourite songs and recharge your smartphone directly from your Panda without lifting a finger. 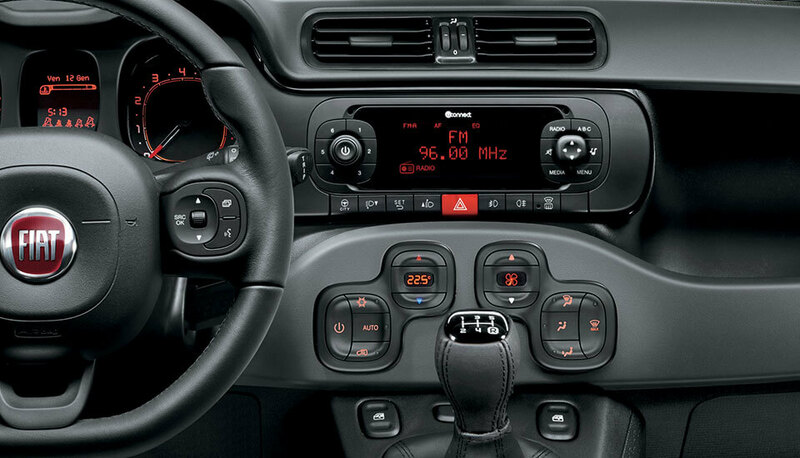 Radio, playlist or phone call? Your playlist, your favourite radio station, your contacts, maps, weather or Find My Car: all your apps are at your disposal. Whatever you need to make your trip easier and more enjoyable. You stop, your engine stops. 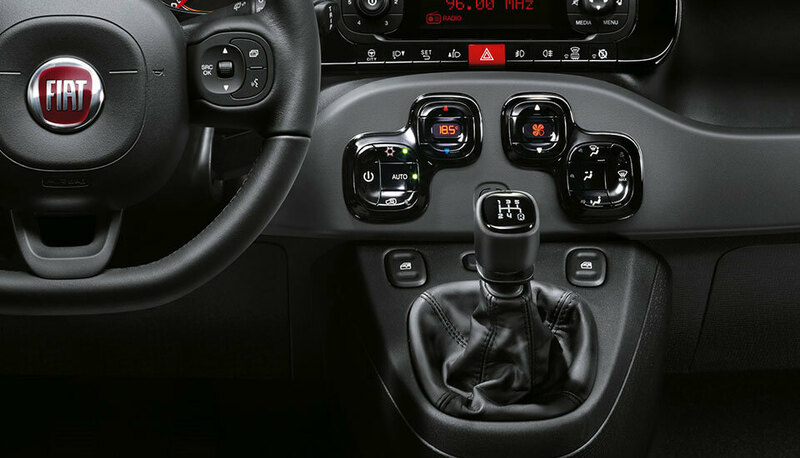 The Panda's Start&Stop technology is designed to reduce fuel consumption along with the Gear Shift Indicator (GSI), which suggests when to change gear.